This research was conducted with the help of funds from the German Federal Ministry of the Interior, University of Kassel, International Psychoanalytic Association and German Psychoanalytic Society. We would like to thank Fritz Hasper, Ramon Rodriguez-Sanchez. Marie Lübs and Christian Curth for their efforts during data-collection. In addition, we would like to express our gratitude to cooperating institutions, namely the Victim-Offender-Mediation Bremen (TOA Bremen e.V. ), the Association for the Promotion of Accepting Youth-Work, (VaJa e.V.) and the comprehensive schools in Kassel, who granted us access to research participants. Gullestad, F. S., Johansen, M. S., Høglend, P., Karterud, S., & Wilberg, T. (2012). 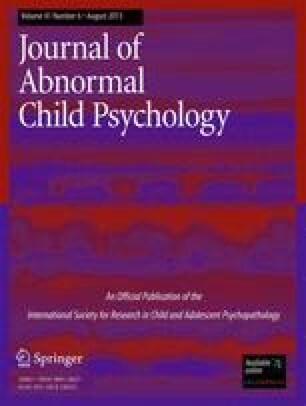 Mentalization as a moderator of treatment effects: findings from a randomized clinical trial for personality disorders. Psychotherapy Research. doi: 10.1080/10503307.2012.684103. Taubner, S., Hörz, S., Fischer-Kern, M., Doering, S., Buchheim, A., & Zimmermann, J. (2012). Internal structure of the reflective functioning scale. Psychological Assessment. Advance online publication. doi: 10.1037/a0029138.